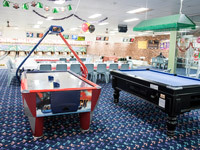 At Bateau Bay Tenpin Bowl, you can have fun with friends and family or play competitive sport to a high level. There is something to suit everybody’s idea of sport and relaxation. Great food and arcade games will keep you entertained between tenpin bowling games. Our computerised lane booking system makes it easier and faster to get everyone onto our lanes. All lanes have computerised bumper bars available for the kids under 13 and we add your names to the scoreboard so you’re ready to go. And it’s not just our computers that are efficient; our care and maintenance program ensures that machinery stays in top working order and the centre is always clean. Music videos on Friday and Saturday evenings provide a great backdrop to your game! 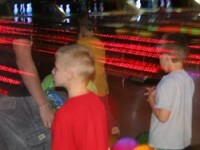 Cosmic glow-in-the-dark night bowling and Bingo Bowling from 7pm every Friday night. Where everyone has a chance to win a prize and goes in a draw to win a flat screen TV!! Enjoy a discount on tenpin bowling lanes on Sundays all day with our cheap deal 2 games for $18 each. In the school holidays, our tenpin bowl and meal deal is always a hit with the kids. On Mondays we offer cheaper game rates for seniors and disability. 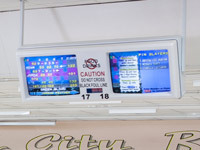 If you enjoy tenpin bowling but you’re not sure whether you want to play seriously, at Bateau Bay Tenpin Bowl we have a wide range of leagues for you to join that will be able to suit your individual time schedule. We have morning and night leagues available from Monday to Thursday and give it a try! No pressure, just good fun. And who knows where it will end?